Various articles of clothing. All sizes listed are as noted on each, but some may fit slightly larger...depending on brand. 1) Size 8 & 10 pants. Both are elasticized waist & lined - $5 ea. 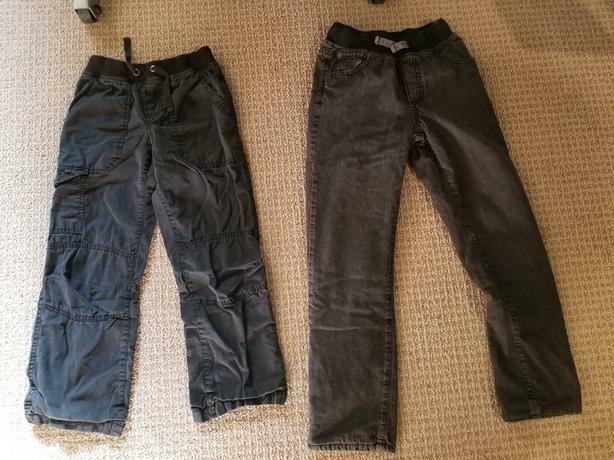 2) Size XS (7/8) & S athletic pants (Adidas & UA) - $10 ea. 3) Size 8 Levis jeans - $10. 4) Size 8/9 shorts (3 pair) - $2 ea. 5) Size 10 shorts (3 pair) - $2 ea. 6) Size 5/6 swim shorts & 6/7 swim shirt - $2 ea. 7) Size XS (or 5T?) vests - $10 ea.